I made this power point for my students to teach them a bit more about food around the world and also to introduce them to some new countries as well as people close to me. We as native English guest teachers in Korea (and other countries) are so different to the kids and locals because we usually. have so many international friends and family. I am especially international as I am bi-racial (well, more than 2 races but that's another story) , in an interracial marriage and have dual citizenship in multi-cultural societies , so I am completely different and often, confusing to my students. But I like to showcase to them the many cultures and races of my life so that they learn a little more and learn that Korea is very different due to its very homogeneous society. And what better way than through food? Food is global, food is culture and food is fun! Thus, I encourage you to use my power point to insert countries / cultures of your life and people around you. And yourself! Download the PowerPoint for free , here! 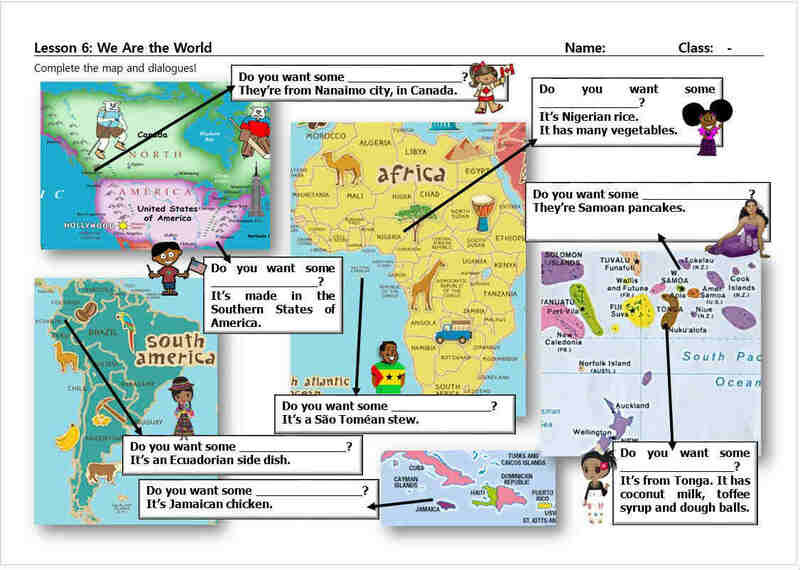 Update: I also made a fun worksheet for them to use with the PPT, check it out, it's free! So, I used the key phrases from the book and I liked the idea of comparing Korean food to other foods around the globe. In the textbook they say "Korean Cookies" and this is 'Hangwa' (한과) in Korean or better 'Yumilgwa' (유과). That's what sparked my idea to have a slide saying "Do you like Korean ______?" and then comparing Korean foods to other foods around the world. But, for some of the nations I chose them purposely to teach them a new country and also introduce them to a family member or friend in my life! 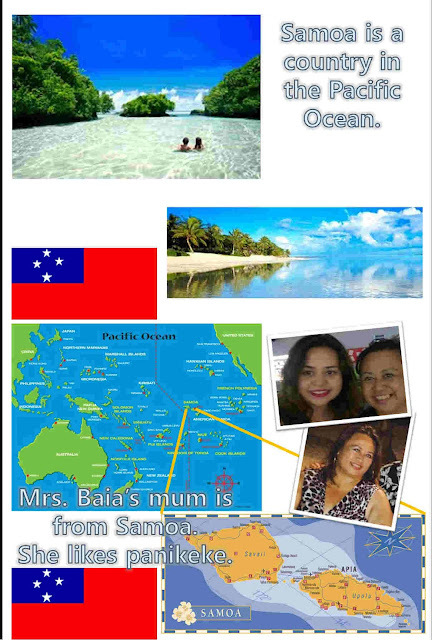 The power point can be used as is, I took out all photos and my name. But it can also be used as a template to add your own family members and friends. And you and your co-teacher's photos if you like. Edit, edit , edit and edit some more! The countries I use in the power point are: India, Italy, Samoa, Canada, São Tomé and Príncipe, Nigeria, Malaysia and Vietnam. Here are some preview slides! 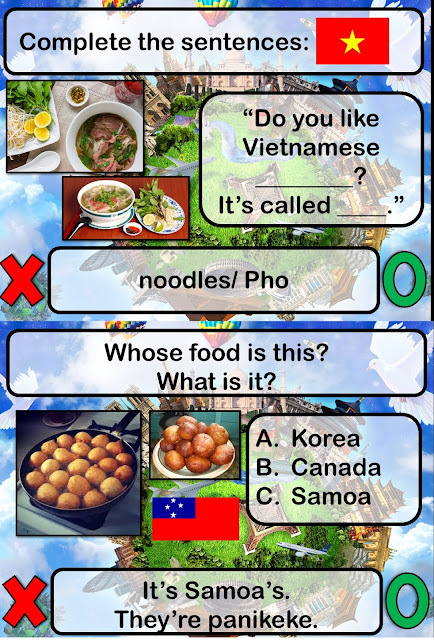 There's also a mini quiz game at the end to review. I repeat, any photos of my friends and family will NOT be in the PPT you download. So, first, I start with a Korean food to compare....I give the real name of the cookies and some ingredient info. Using the "It has" phrase from the textbook. Next, a great friend and fellow blogger and educator , Meya - Check out her blog about life and times in Korea, here. The character I used in the following slides to represent Nigeria, is actually from a Nigerian made cartoon! It's called Bino and Fino. 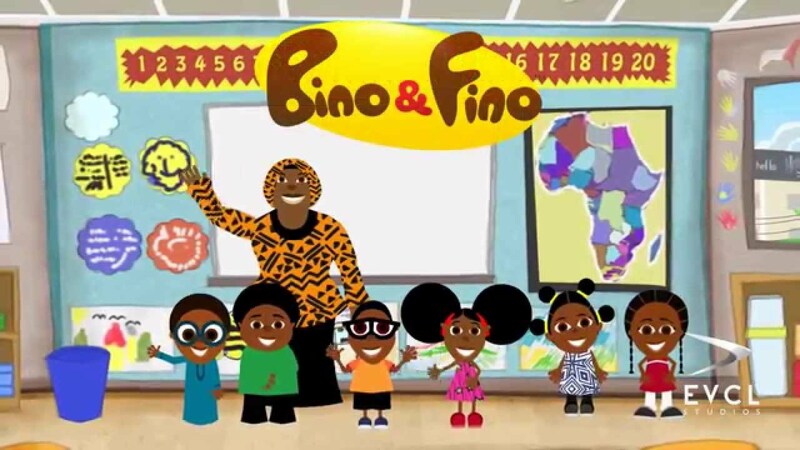 If you want to infuse more African Culture into your classrooms, I suggest checking them out! Next, my hubby... who I constantly use in class materials and have dragged him to a summer camp to cook lol. Sorry, hun! Stew in Korean sounds like Konglish "스튜"....some may classify Doenjang-jjigae '된장찌개' as soup, also but when I looked it up I kept getting 'stew', so it was perfect to compare to Feijoada. For your infomation, Feijoada is a food of most ex-Portuguese colonies, so feel free to change 'São Tomé and Príncipe' to Brazil! I also made a few game slides, it's optional. Don't worry about them getting the names of foods 100% as long as they try to participate. Hope this spices up your 'We Are The World' part in the textbook or any lesson on food for that matter! Download the PowerPoint for free , here!.